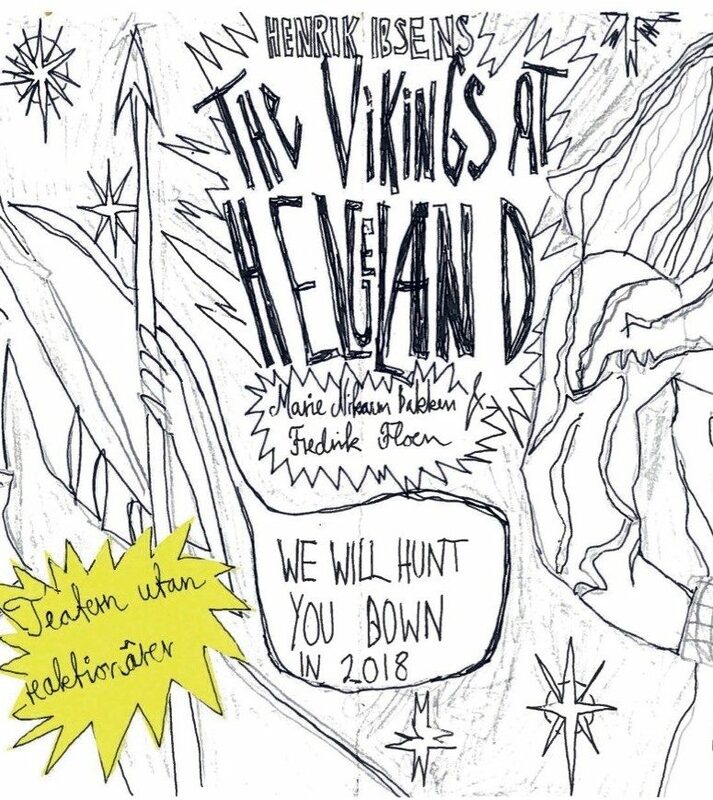 In 2017 Marie Nikazm Bakken and Fredrik Floen was awarded an Ibsen Scholarship for their project Vikings of Helgeland. 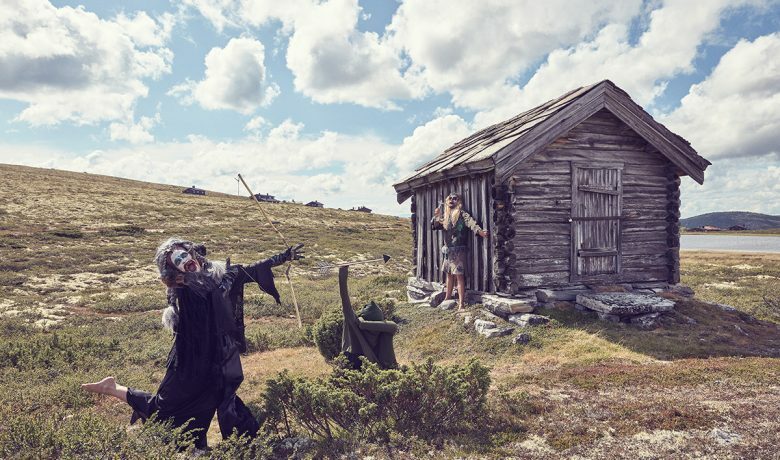 The representation of Henrik Ibsen`s dramas is in Scandinavian theatre closely connected to a psychological-realistic tradition of acting and mis-en-scénes. Yet in the last decades, this way of interpreting the plays has been challenged by other forms of representation. 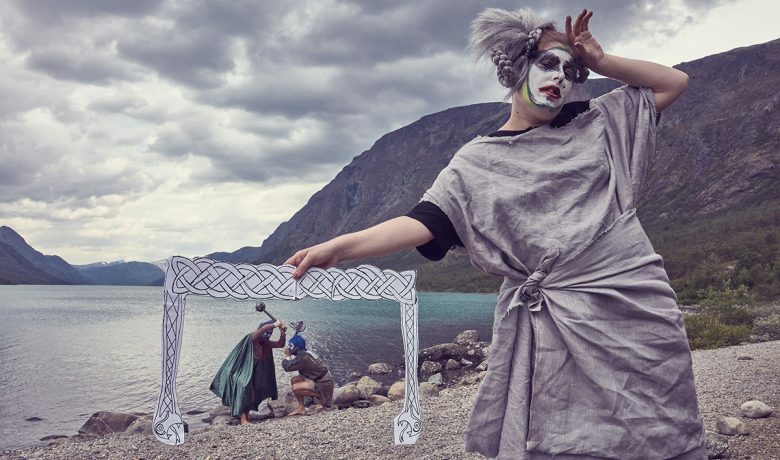 The two young artists, Marie Nikazm Bakken and Fredrik Floen, have over the last few years turned to Ibsen´s plays again and again, in their personal quest for finding a theatre aesthetics of their own. Their grand-scale productions of Ibsen re-samplings have challenged the audience`s perceptions of the art form in general and the works of Ibsen in particular. 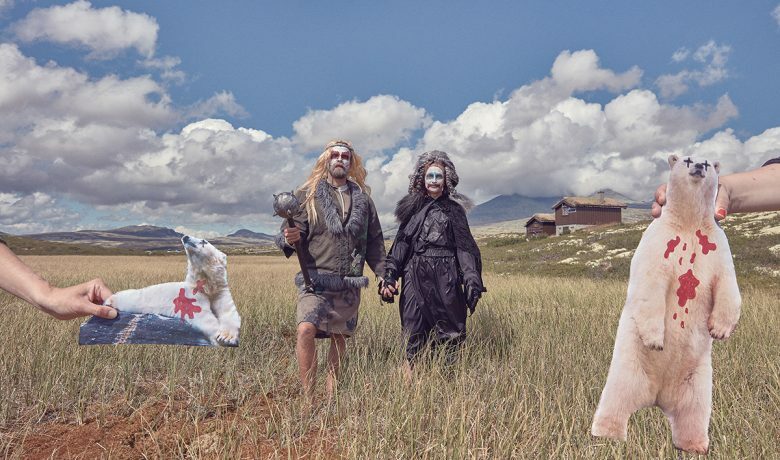 In this project, director Nikazm Bakken and set- and costume designer Floen take up an early and seldom produced drama by Ibsen, “The Vikings of Helgeland”. This play has, by some readers, been disregarded as an unfinished sketch, a period piece steeped in historical details. Moreover, Marie Nikazm Bakken and Fredrik Floen rather find a possibility for a different approach to dramaturgy and production design in it. 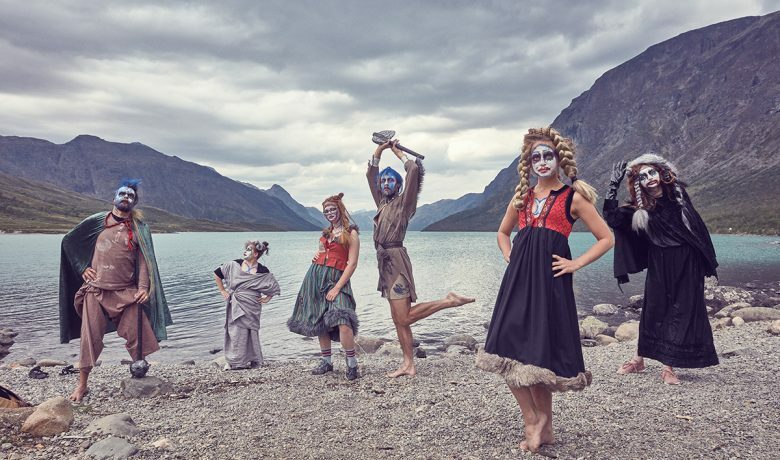 Their production of “The Vikings of Helgeland” will celebrate and play with the dramatic illusion of the romantic era: the gothic pathos, the heroic sufferings of its men and women, all immersed with bulging stage directions. Using the elements of violence, revenge and destiny and the motive of a building of a nation, they will explore an epos of our time. Through references of today, they will eventually reach a discussion on social and inter-human relations of the world in the way this young generation of theatre artists sees it. 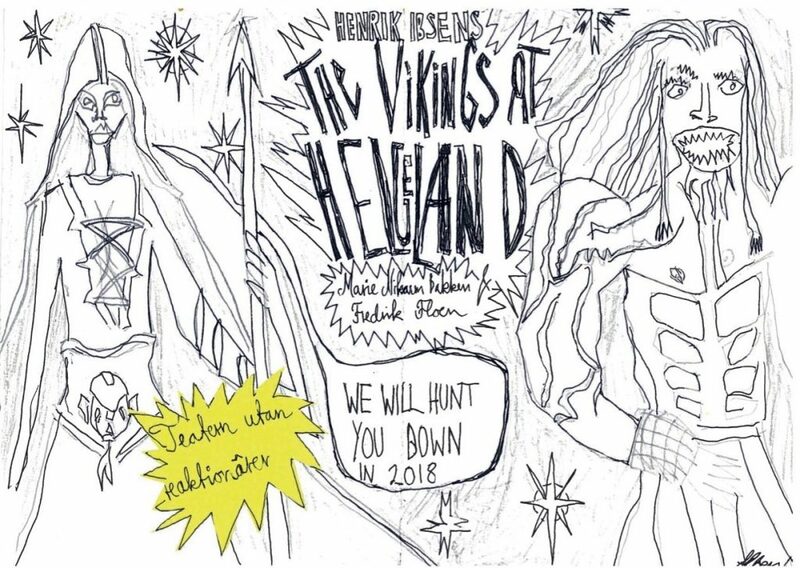 THE VIKINGS OF HELGELAND – exploring the early Ibsen in an epos-fictional perspective, aesthetics as a narrative structure. 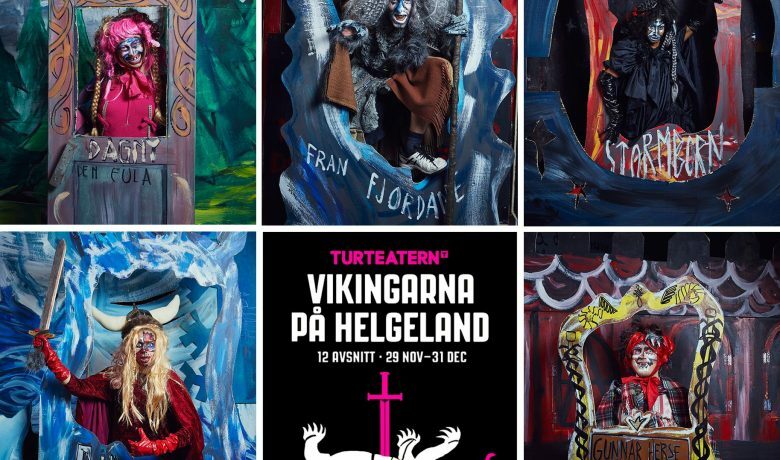 The Vikings of Helgeland is a Viking play from 1858 set in the dramatic landscape of the Northern coast of Norway but will be performed in an urban black-box at Turteatern, Stockholm, Sweden, and will premiere in December 2018, making a monster-massacre of the Ibsen text. The piece is a part of Marie Nikazm Bakken and Fredrik Floen’s ongoing exploration of Ibsen’s earlier work, focusing on the mythic and fictional narratives presented by the playwright in his period of writing before the socio-critical plays, presenting it as an aesthetic proposal of discussing social and inter-human relations. The early works of Ibsen are often treated like unfinished sketches, a product of its time, and most of all not realistic for repertoires of theatres and artists today. Marie Nikazm Bakken and Fredrik Floen look at Ibsen’s proposal as an entrance to an aesthetic approach to dramaturgy, and want to celebrate the gothic women, the romance(era), fictional setting, heroic and suffering men and women, bulging stage directions, pathos and longing that is the starting point for this text. 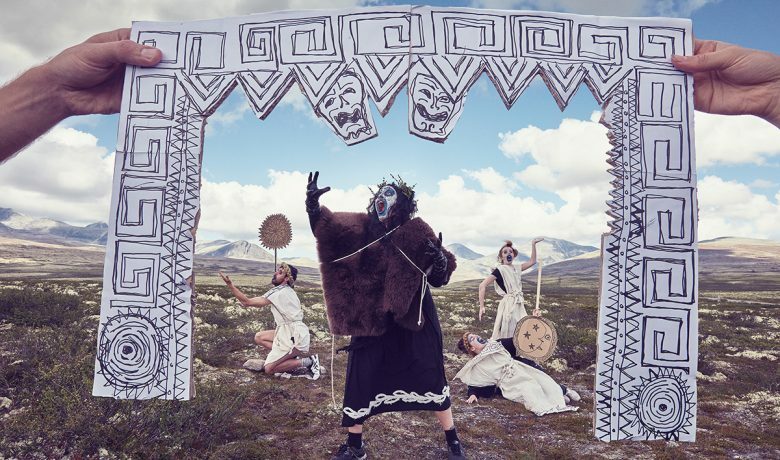 Using the elements of violence, revenge, gathering of the nation and destiny, they will explore an epos of our time through their gaze; a stream of references and shameless use of originality, copying and origin. 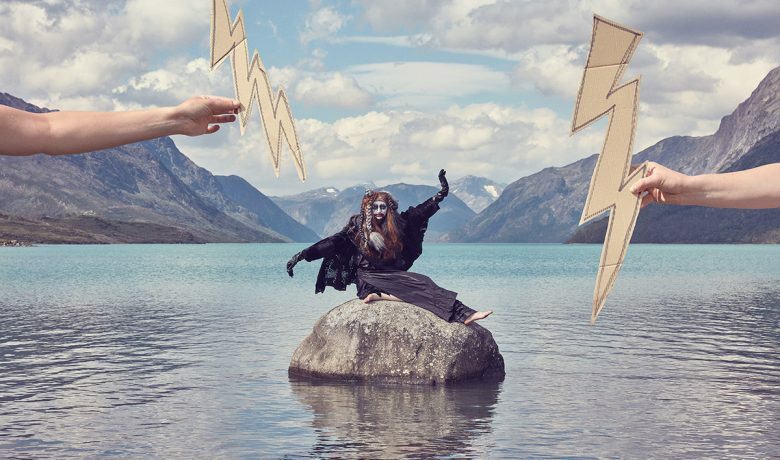 Marie Nikazm Bakken and Fredrik Floen want to make a main-stage-production with visuals images, pathos, blood, swords, fog and battle-scenes, with the Ibsen play that no one have heard of but soon they will. With this they will haunt you and Ibsen down in 2018. 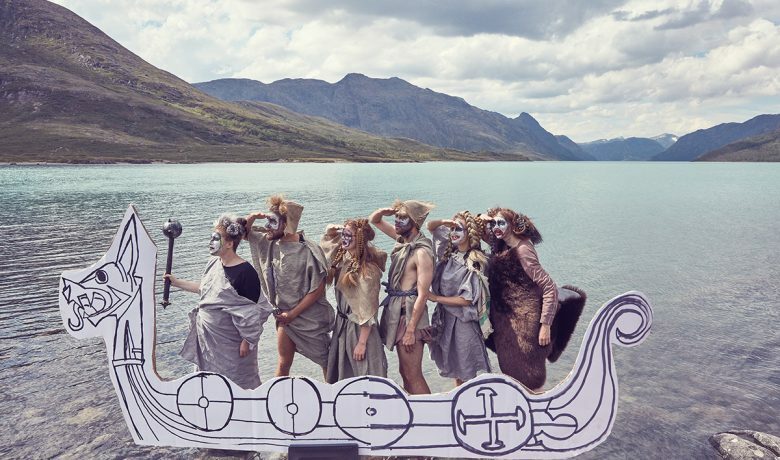 «You Vikings are incorrigible. 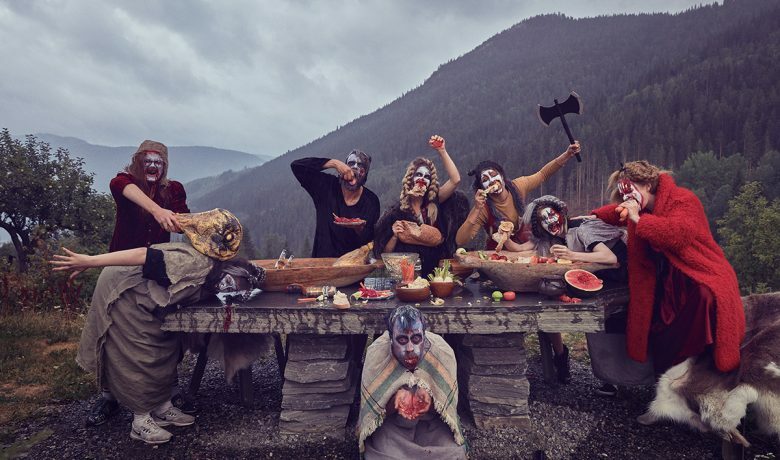 You emerge from the womb with only one thing on the mind: how to die.» Vikings, HBO Nordic. 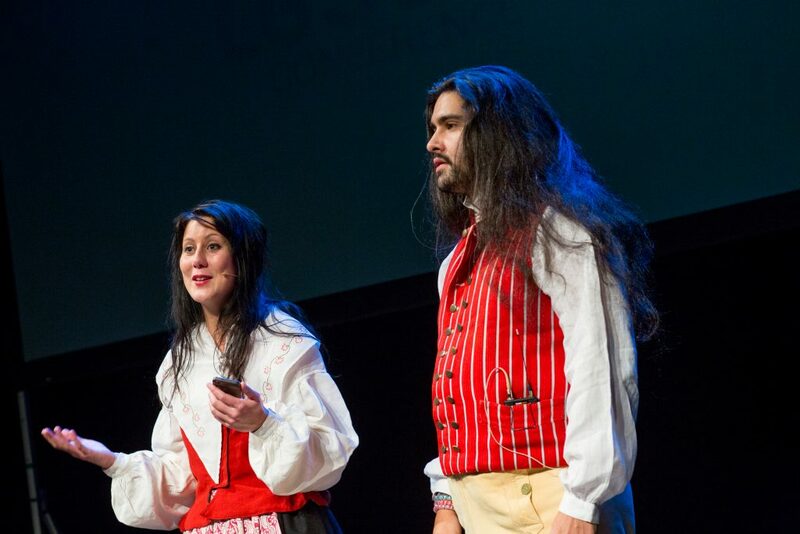 Marie Nikazm Bakken and Fredrik Floen are a Norwegian performing arts duo consisting of stage director Marie Nikazm Bakken and costume-designer/scenographer Fredrik Floen (both born 1988). 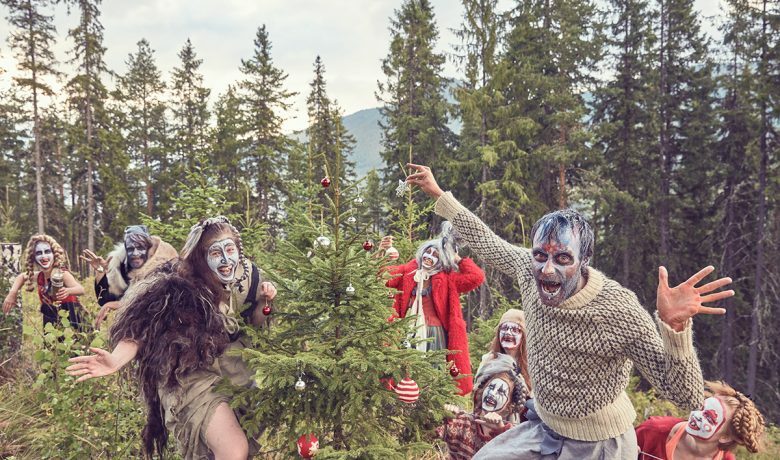 After raiding several educational institutions in Norway and abroad, they are back in the motherland with the aim to make really good theatre. 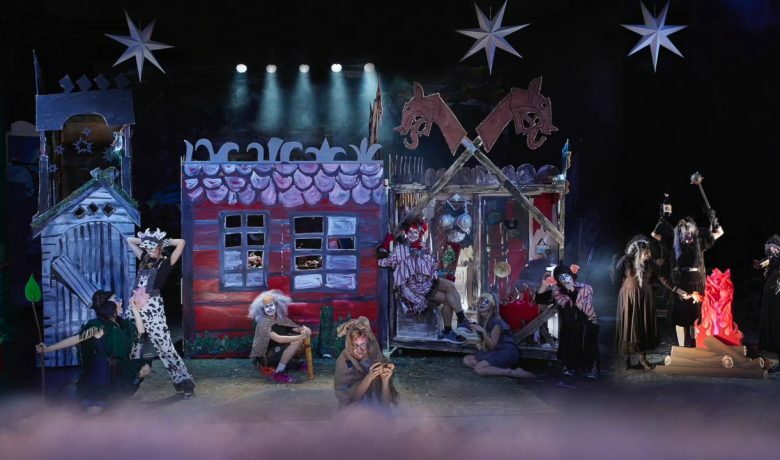 The last couple of years they have staged the Ibsen play The Pretenders (own production, Otta Kulturhus), The Ghost to come (Grenland Friteater/Scene:Bluss) and The Pretenders – A staged reading (Nationaltheatret/Ibsenfestivalen 2016). 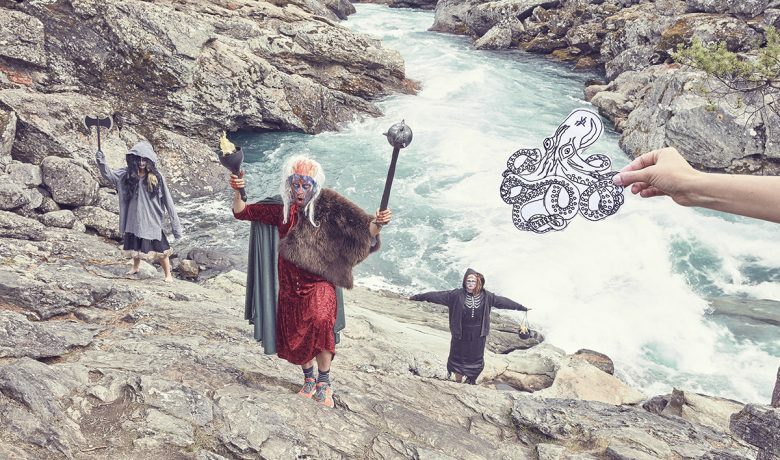 In the fall of 2018 they will premiere both Lady Inger at Oesteraat in Otta Kulturhus, in addition to Vikings of Helgeland at Turteatern in Stockholm. Photo by Max Emanuelson - Vikings of Helgeland.